A protest against a proposed oil pipeline turned violent on Saturday as Dallas-based Energy Transfer Partners unleashed pepper spray and attack dogs on a group of Native American activists, including women and small children. The protesters have been attempting the halt the construction of a $3.8 billion oil pipeline that would cut directly through their tribal land and sacred burial grounds in North Dakota. As can be seen in the video above, at least six protesters have suffered bites from security dogs, including a young child, according to Standing Rock Sioux tribe spokesman Steve Sitting Bear. In addition, at least 30 people were pepper sprayed. The Morton County Sheriff’s Office reports injuries on their side as well, with four private security guards and two guard dogs injured in the clash. There were no law enforcement officers present during the incident, and no arrests were made. 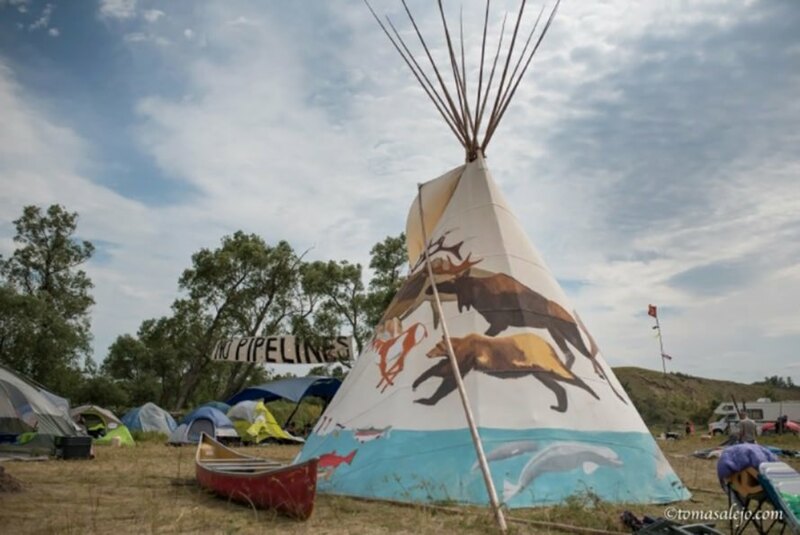 The construction project is currently being considered by a federal judge, who is expected to rule on the Dakota Access oil pipeline on September 9th. Permits have already been granted to the developers by the Army Corps of Engineers, however, activists claim that the project will destroy their sacred sites and potentially poison drinking water used by 8,000 tribe members. To add insult to injury, the tribe has only recently been given access to the land in question to survey it, delaying their ability to take legal action. Already, the tribe has accused construction crews of removing topsoil from an area 2 miles long, overturning ancient cairns and stone prayer rings on an ancestral burial site. 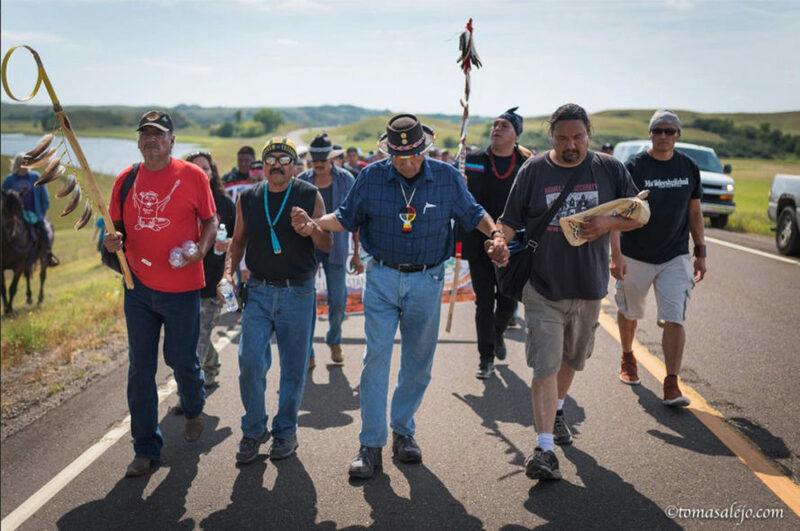 Tribe Chairman David Archambault II said in a statement, “In one day, our sacred land has been turned into hollow ground.” The protests are said to be the largest gathering of Native Americans in over a century, with members of over 90 tribes lending their support. Images via Tomas Alejo, Shadi Rahimi and Democracy Now! A protest against a proposed oil pipeline turned violent on Saturday as Dallas-based Energy Transfer Partners unleashed pepper spray and attack dogs against a group of Native American activists. The protesters have been attempting the halt the construction of a $3.8 billion oil pipeline that would cut directly through their tribal land and sacred burial grounds in North Dakota.